Iron Doors are the strongest and most elegant door you can have for a home. 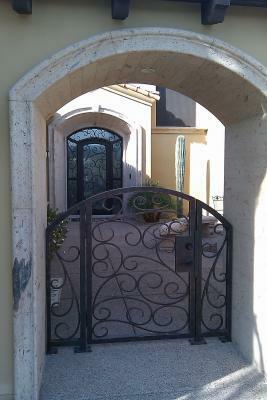 Signature Iron Doors is the leading Manufacturer of Iron Doors in Scottsdale Arizona and the nation. This is a remodel we did recently in the 85258 area. 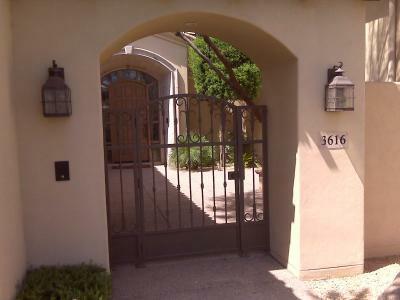 Their large entry way is complimented by a durable iron gate leading to the matching and impressive entry door. All of our pieces are hand forged and built to endure all conditions flawlessly. Please give us a call and come by our showroom in Phoenix Arizona to find out why homeowners in Scottsdale and throughout the valley and nation have trusted Signature Iron Doors to produce iron gates and entry doors to bring their home together.